Set in the heart of Timbavati Private Nature Reserve, adjacent to the famous Kruger National Park, RockFig Safari Lodge is well situated for forays into the African wilds. Game drives let you cover some ground in the comfort of a vehicle, while walking safaris put you right on the ground, exploring the area under your own steam. Whatever you prefer (and we suggest you try both), these exciting activities – and their inevitable wildlife sightings – are sure to get your blood pumping. They’ll also work up an appetite, which you can satiate with the feasts you’ll find at the bush breakfasts and dinners, as well as safari-style meals back at this luxury South African safari lodge. 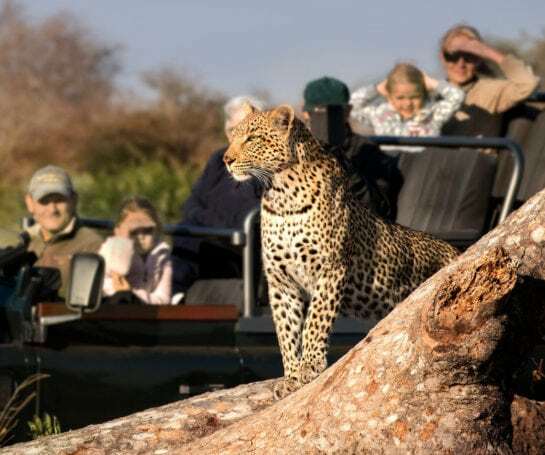 Game drives rank among the quintessential Timbavati experiences, and the guides and trackers at RockFig Safari Lodge pride themselves on providing incredible, safe but close wildlife encounters. Timbavati is Big Five country, and as many of the RockFig trackers hail from the area they’re able to put all their local knowledge to work to ensure the best possible viewing opportunities. Of course being out on safari isn’t just about big game; it’s also a chance to appreciate the beauty of Timbavati while traversing it, and while stopping to enjoy a morning coffee or a sundowner in an especially scenic spot. 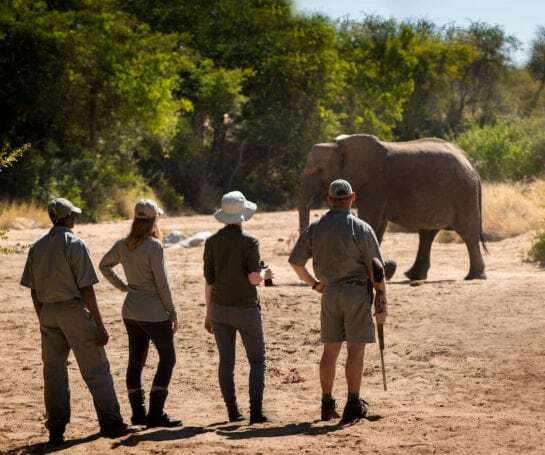 Guided walking safaris from RockFig Safari Lodge are a wonderful way to experience Timbavati on foot. Bring your walking shoes; the guides and trackers have everything else that’s required, not least their knowledge of spoor and plants (and a rifle to ensure your safety). Spending time on the details of the ecosystem can be immensely rewarding, and surprising. Learn how every living creature, no matter how small, has its part to play in this intricate, interlinked web of life – complex enough to make a Swiss watch mechanism look like a child’s toy, and absorbing enough to make you forget to check the time. Meals at RockFig Safari Lodge let you experience the tastes of Timbavati. With so many styles of dining on offer, from informal to the bushveld equivalent of silver service, and the plentiful venues throughout the lodge in which to enjoy them, no two meals are the same. 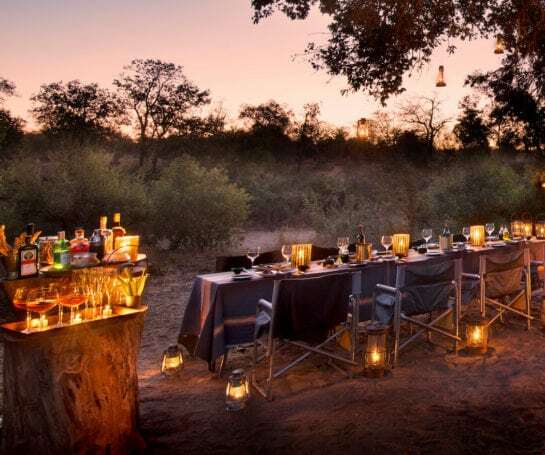 If you’re sharing your Timbavati experiences with your significant other, opt for private dining on your verandah; if you’ve brought your kids along, let them watch their dinner being prepared from the kitchen counter. Alternatively, join your guide and fellow safari connoisseurs at our long table and share stories long into the evening. 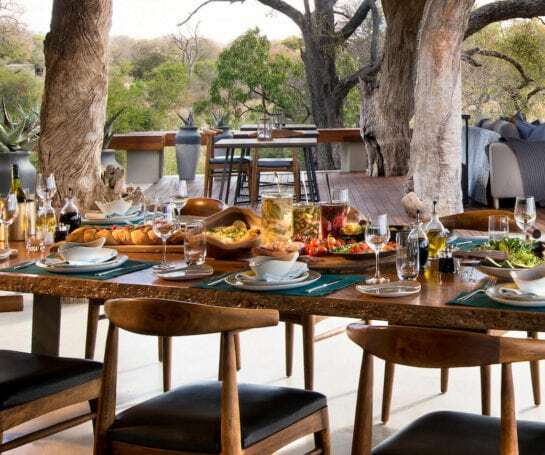 Bush dining takes RockFig Safari Lodge mealtime moments and transplants them into the wild. The element of surprise only adds to the experience – don’t expect us to give the game away; we’re busy hanging lanterns, or spreading snowy white linen on a table under the spreading branches of a mighty Timbavati tree. Naturally, everything tastes better al fresco, whether it’s a cheeky morning Mimosa from the bush bar or a piece of venison cooked just so over the coals. The combination of starlight, lantern light and firelight adds to the magic of bush dinners, as do the not-so-distant animal calls. Timbavati experiences at RockFig Safari Lodge needn’t be merely a flight of fancy – they’re just a short actual flight and transfer from Johannesburg. From the moment you land in Hoedspruit, your every whim is taken care of and you’ll only need to lift a finger to take another great wildlife picture. Each day at RockFig effortlessly blends excitement, relaxation and indulgence, and is tailored to meet your needs and exceed your expectations. 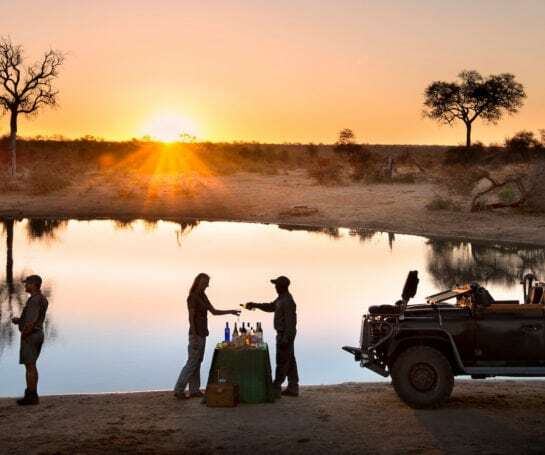 From the customised minibar to the morning coffee, the post-game drive warm towels and warmer smiles, and the chance to spend time just being, it’s a stay you’ll want to repeat.